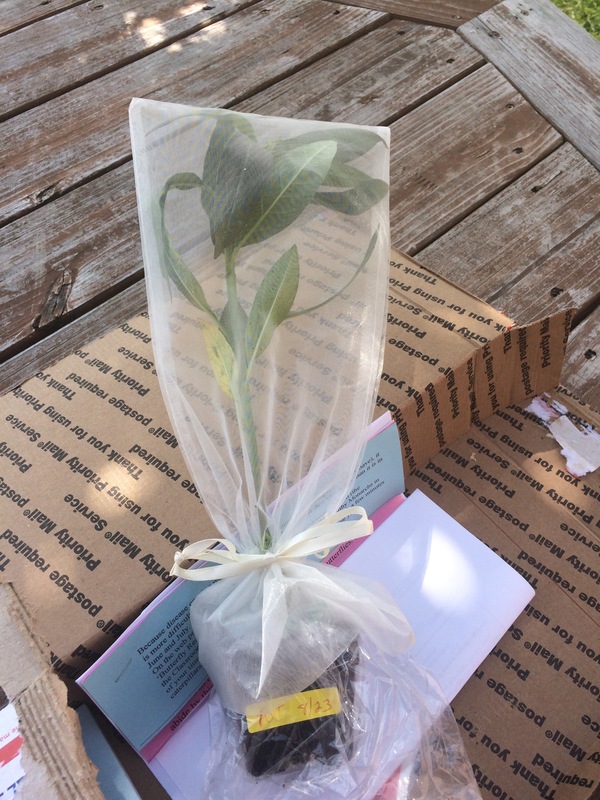 Monarch eggs arrive in the mail! Monarch eggs arrived last week! A six gallon fish tank with a screen lid is an enormous habitat for the speck sized ovo from Rose Franklin of Butterfly Bushes in Pennsylvania. Observing milkweed stances has become a bit of a hobby this summer. Wether unwinding morning glory vines from milkweed plants or searching for Monarch eggs and caterpillars, I’m curious what I will find next. 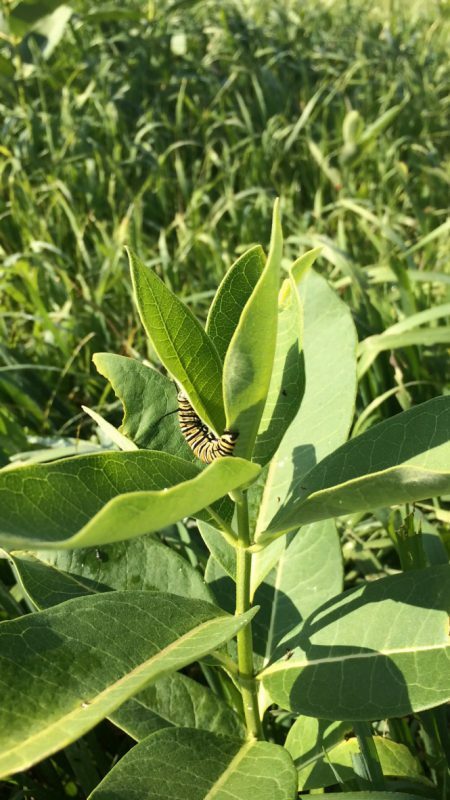 Monarch caterpillar crawls upon milkweed in a hay field. Learning about the multi generational migration of Monarchs makes me wonder where these ovo will fit into that cycle. Their metamorphosis is estimated to be completed in 28-32 days. Six days into their cycle they now look like super tiny black worms. Monarchs are being released through various programs around the state. Some of these programs are well established. 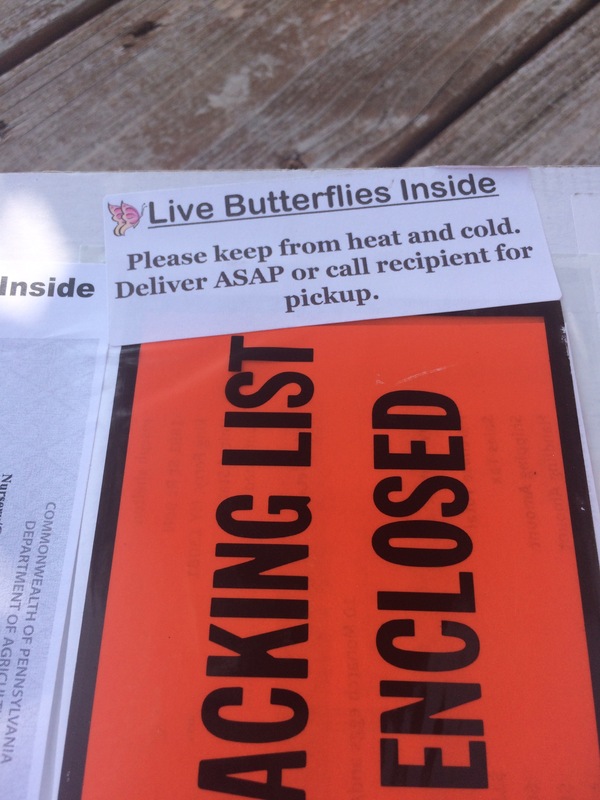 Read about the butterfly breeder who recently released nearly 150 Monarch butterflies ! Cornell’s Dyson School has an annual Monarch release that includes tagging the winged creatures! Professor Jack Little directed students in the proper technique of tagging, while many observed the butterflies release. Follow this link to view pictures of the event. Our Monarch eggs have changed into tiny worms and now small caterpillars!! New pictures soon! Editor’s Note: Due to the severity of Harvey, publishing this post was delayed with respect for those affected by the disaster. Grateful for pleasant weather in New York, we continue our work with concern and awareness for our shared existence.